 H. Tokuyama, T. Iwama. Temperature-swing solid-phase extrac- tion of heavy metals on a poly(N-isopropylacrylamide) hydrogel. Langmuir, 2007, 23(26): 13104-13108. A. O. W. Leung, N. S. Duzgoren-Aydin, K. C. Cheung, et al. Heavy metals concentrations of surface dust from e-waste recy- cling and its human health implications in southeast China. En- vironmental Science and Technology, 2008, 42(7): 2674-2680. T. Chen, X. M. Liu, X. Li, et al. Heavy metal sources identification and sampling uncertainty analysis in a field-scale vegetable soil of Hangzhou, China. Environmental Pollution, 2009, 157(3): 1003-1010. M. B. Arain, T. G. Kazi, J. A. Baig, et al. Determination of arsenic levels in water, sediment and foodstuff from selected area of sindh, pakistan: Estimation of daily dietary intake. Food and Chemical Toxicology, 2009, 47(1): 242-248. S. Seoyoun, J. Jyongsik. Thiol containing polymer encapsulated magnetic nanoparticles as reusable and efficiently separable ad- sorbent for heavy metal ions. Chemical Communications, 2007, 17(6): 4230-4232. O. Chailapakul, S. Korsrisakul, W. Siangproh, et al. Fast and si- multaneous detection of heavy metals using a simple and reliable microchip-electrochemistry route: An alternative approach to food analysis. Talanta, 2008, 74(4): 683-689. G. W. Li, L. H. Zhang, Z. W. Li, et al. PAR immobilized co- lorimetric fiber for heavy metal ion detection and adsorption. Journal of Hazardous Materials, 2010, 177(3): 983-989. 张军红, 刘道杰. 有机试剂在络合吸附波中的应用[J]. 冶金分析, 2003, 23(6): 18-23. Y. Oztekin, Z. Yazicigil, A. Ramanaviciene and A. Ramanavicius. Ano- dic stripping voltammetric determination of copper(II) usinga functionalized carbon nanotubes paste electrode modified with crosslinked chitosan. Sensors and Actuators B: Chemical, 2010, 151(1): 1-12. X. S. Ren, Q. H. Xu. Highly sensitive and selective detection of mercury ions by using oligonucleotides, DNA intercalators, and conjugated polymers. Langmuir, 2009, 25(1): 29-31. Y. Liu, P. Liang, Guo L. Nanometer titanium dioxide immobili- zed on silica gel as sorbent for preconcentration of metal ions prior to their determination by inductively coupled plasma ato- mic emission spectrometry. Talanta, 2005, 68(1): 25-30. J. Toh, X. 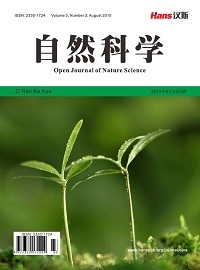 B. Zuo, H. N. Wu, et al. Mechanism of mercury dete- ction based on interaction of single-strand DNA and hybridized DNA with gold nanoparticles. Talanta, 2010, 82(6): 1642-1646. 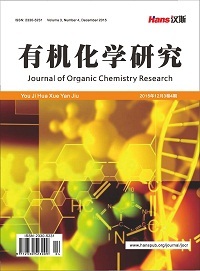 B. W. Yang, Q. J. Gong, L. P. Zhao, et al. Development of a three- stage system for the treatment and reclamation of wastewater containing nano-scale particles. Desalination, 2011, 5(1): 1-5. L. T. Jin, H. Xu, L. P. Zeng, et al. Microwave-irradiated synthe- sized platinum nanoparticles/carbon nanotubes for oxidative de- termination of trace arsenic(III). Electrochemistry Communications, 2008, 10 (3): 551-554. M. R. Ganjali, N. Motaker-Kazami, F. Faridbod, et al. Separation and preconcentration of trace level of lead in one drop of blood sample by using graphite furnace atomic absorption spectrome- try. Journal of Hazardous Materials, 2010, 173(3): 415-419. 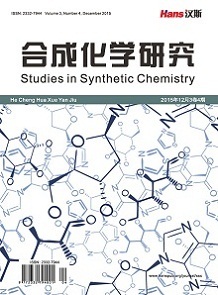 H. Zhao, Y. Jiang, Y. R. Ma, et al. Poly(2-amino-4-thiazoleacetic ac-id)/multiwalled carbon nanotubes modified glassy carbon elec- trodes for the electrochemical detection of copper(II). Electro- chimica Acta, 2010, 55(6): 2518-2521. S. J. Xing, H. Xu, J. S. Chen, et al. 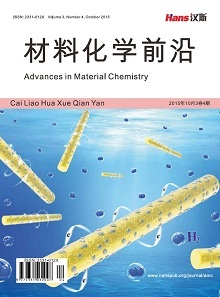 Nafion stabilized silver nano- particles modified electrode and its application to Cr(VI) detec- tion. Journal of Electronalytical Chemistry, 2011, 652(1): 60-65. B. Fang, M. Liu, G. F. Wang, C. H. Zhang, et al. The study on Separating, enriching and determination of trace amount of Hg2+ synchronously. Analytical Methods, 2011, 3(5): 865-871. J. G. Lawless, M. D. Hawley. Electrochemical oxidation of cup- ferron. Analytical Chemistry, 1968, 40(6): 948-951. 李启隆, 胡劲波. 铜铁试剂在络合吸附波中的应用[J]. 冶金分析, 1994, 14(1): 39-43. M. Liu, Y. H. Feng, C. H. Zhang, et al. Electrochemical determi- nation of copper (Ⅱ) using Co-poly (Cupferron and β-naphthol)/ gold nanoparticles modified glassy carbon electrodes. Analytical Methods, 2011, 3(6): 1440-1446. M. Sonmez, C. H. Ozyoruk, A. Yildiz, et al. Determination of Hg2+ on poly(vinylferrocenium) (PVF+)-modified platinum electrode. Talanta, 2009, 78(3): 405-409. J. Q. Lu, X. W. He, X. S. Zeng, et al. Voltammetric determination of mercury (II) in aqueous media using glassy carbon electrodes modified with novel calyx  arene. Talanta, 2003, 59(3): 553-560. H. Zejli, P. Sharrock, J. L. Cisneros, et al. Voltammetric deter- mination of trace mercury at a sonogel-carbon electrode modi- fied with poly-3-methylthiophene. Talanta, 2005, 68(1): 79-81. M. Etiene, J. Bessiere and A. Wlcarius. Voltammetric detection of copper at a carbon paste electrode containing an organically modified silica. Sensors and Actuators B: Chemical, 2001, 76(2): 531-538. S, Mustafa, D. Ayse. Determination of some heavy metals in food and environmental samples by flame atomic absorption spe- ctrometry after coprecipitation. Food Chemical Toxicology, 2011, 49(6): 1242-1248. R. Sonia, G. Ana, G. Edgar, et al. Use of CeO2, TiO2 and Fe3O4 nanoparticles for the removal of lead from water: Toxicity of nanoparticles and derived compounds. Desalination, 2011, 277 (1): 213-220.